Boasting one of the best views in Johannesburg, The Terrace is the perfect place to unwind and look onto Johannesburg as the world rushes by. The Terrace can link up with The Pavilion and can be the perfect place for cocktails after a long day. This cantilevered glass box is a contemporary addition to this historic house. 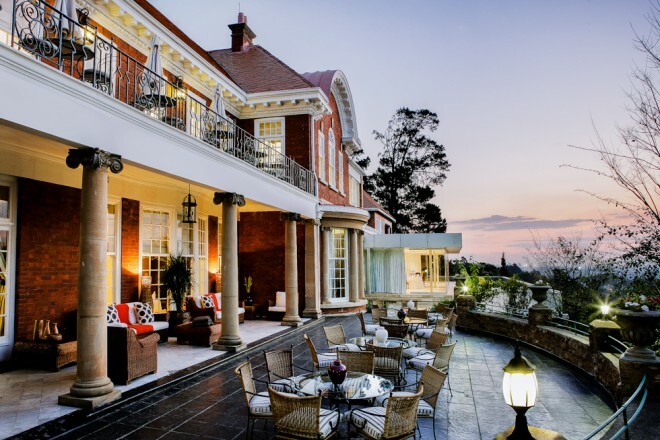 Its wraparound frameless glass doors can be opened, allowing your event to float over out onto the Pavilion Patio looking over our terraced garden with uninterrupted views all the way to Magaliesburg. 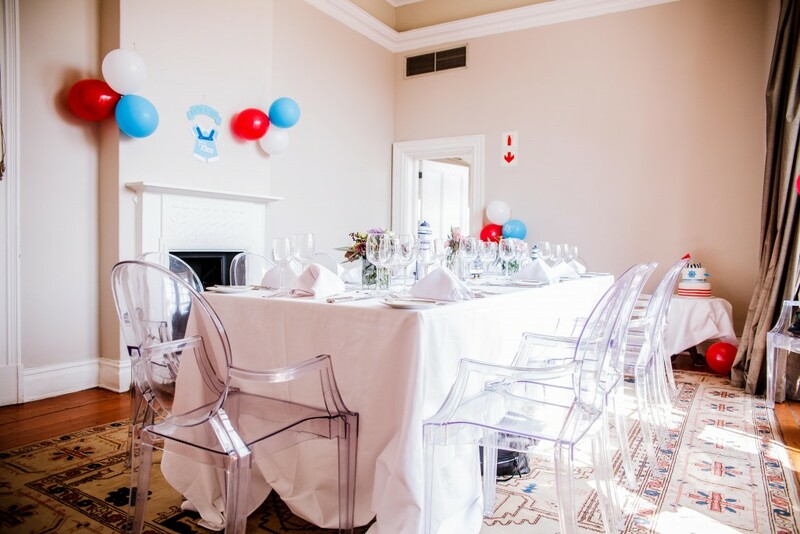 The State Room consists of a formal meeting room and a comfortable lounge area with glass framed views over Johannesburg. 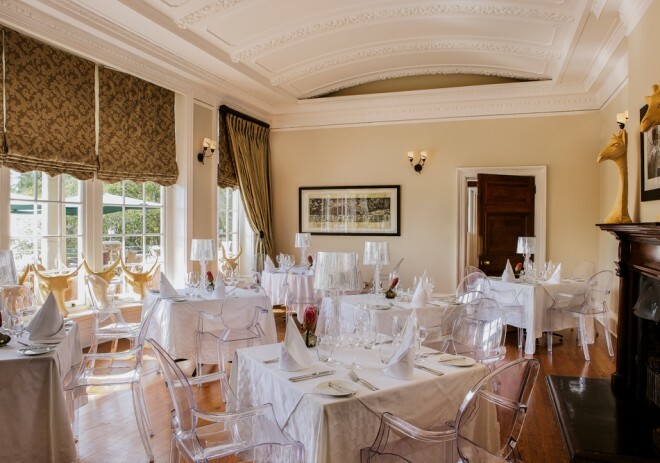 The State Room has access to the top balcony with breathtaking views. This large and inviting wood panelled room enjoys a cosy room-within-a-room boasting an original brick fire place. 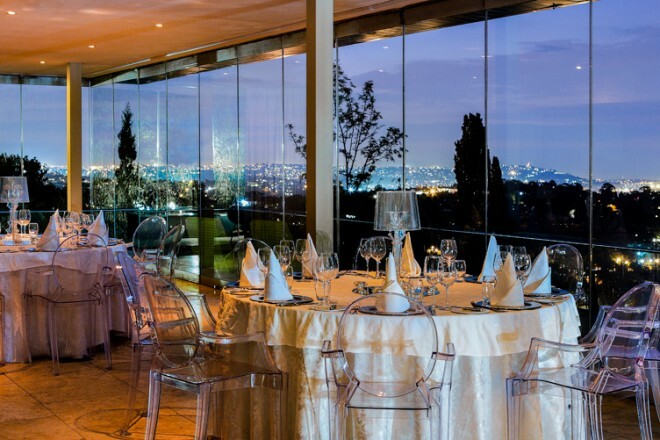 With endless views over the urban forest that is Jozi, this sun filled space is home to our restaurant but can also be booked out exclusively. Floor to ceiling Palladian windows, exquisitely detailed cornices and ceilings, an original marble fireplace & crystal chandelier make this the grandest room in the house. Banquet, meet and dine here. This grand multipurpose space is held up with ornate columns and accented with arched recesses. Large doors open onto a balcony, boasting the best views of the house with Jozi at it’s feet. The Great Chamber also has an adjacent breakaway room, called The Sunroom, which can be used for many different creative purposes. 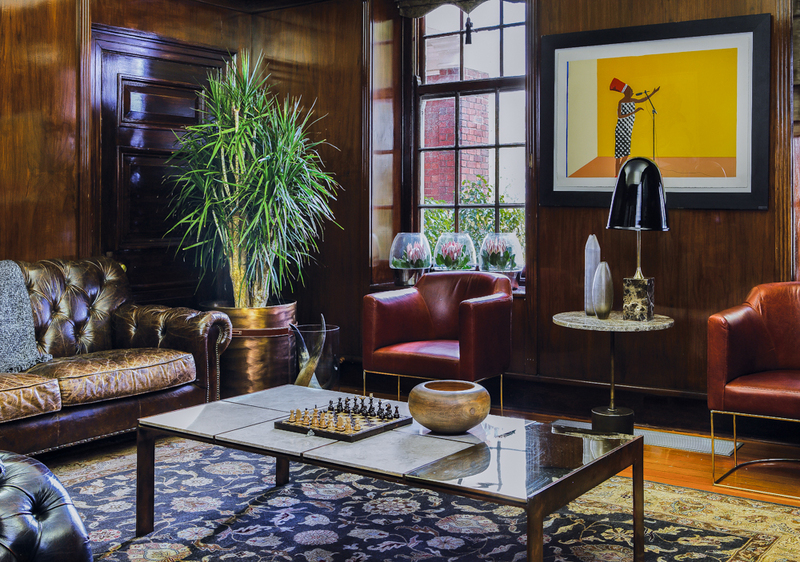 Our wood panelled Morning Room is an intimate space, ideal as a break-away from a hard day’s work. 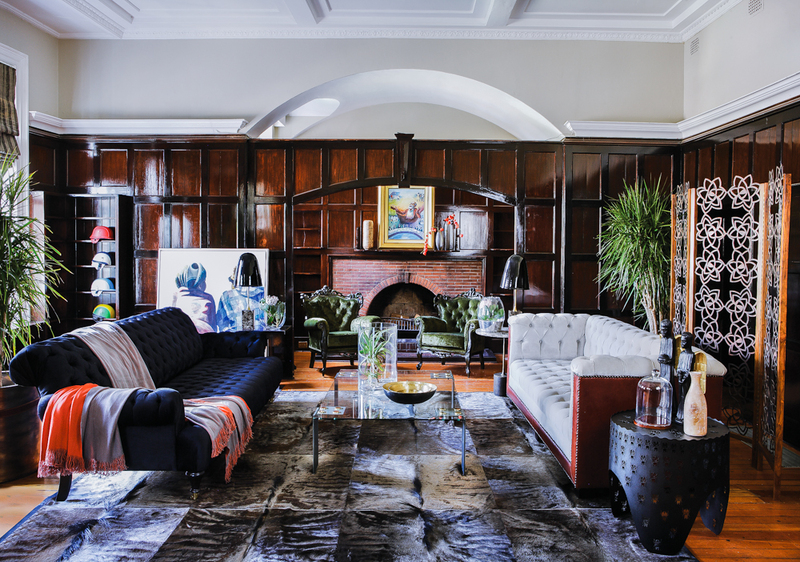 Fully serviced with waiters and a bar, nurse a whisky on a plush leather chesterfield in front of a crackling fire. 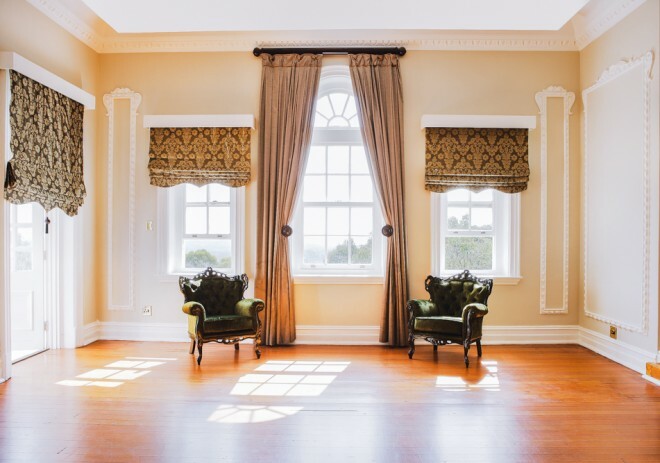 Floor to ceiling Palladian windows, exquisitely detailed cornices and ceilings and an original marble fireplace make this the grandest room in the house. 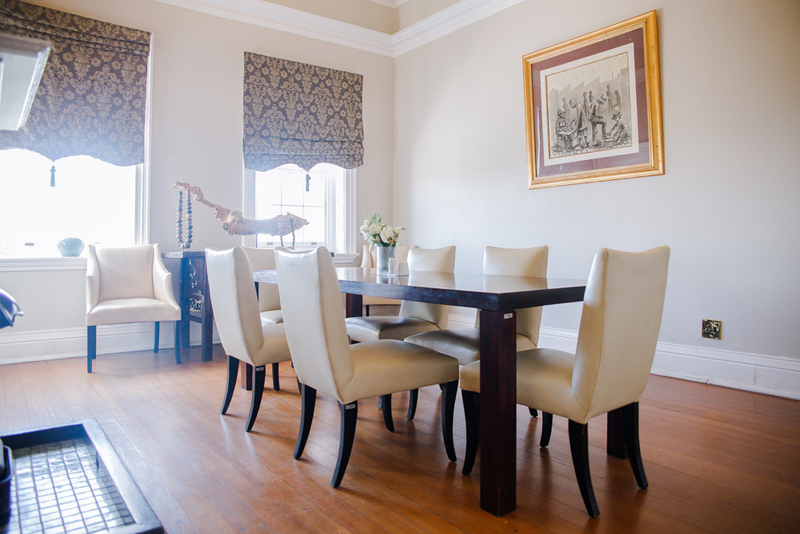 This stately room offers 180 degree views over Jozi. 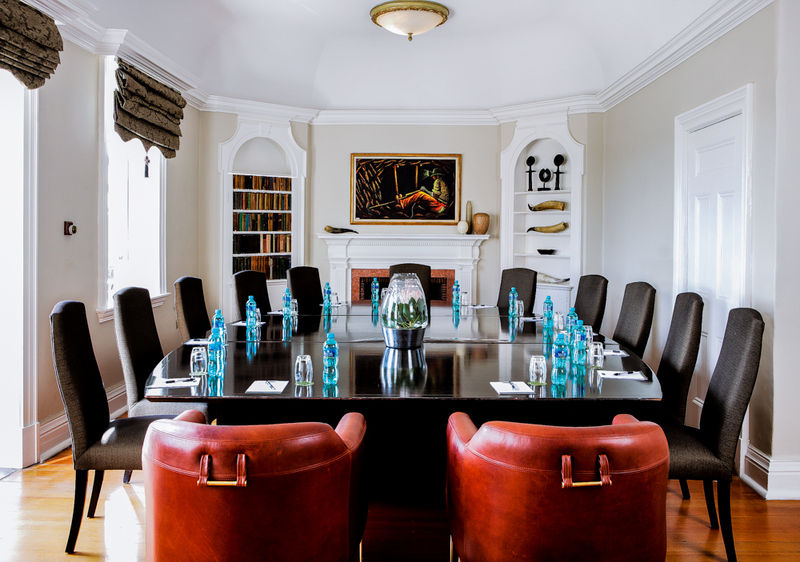 With an original charming secret bookshelf, The Library is ideal for boardroom meetings and media briefings. The Library Room has access to the top balcony with breathtaking views. 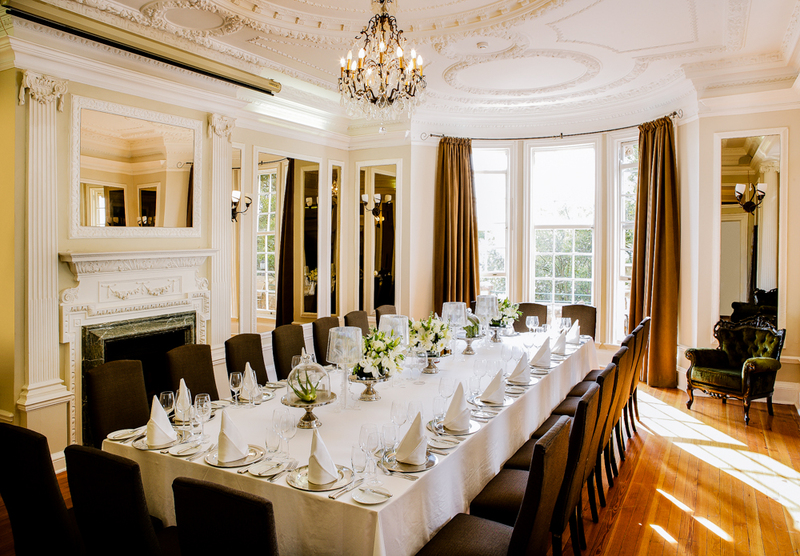 Graced with floor to ceiling Palladian windows and an original English Renaissance fireplace, the light and airy School Room is the perfect place for inspiration and idea generation. 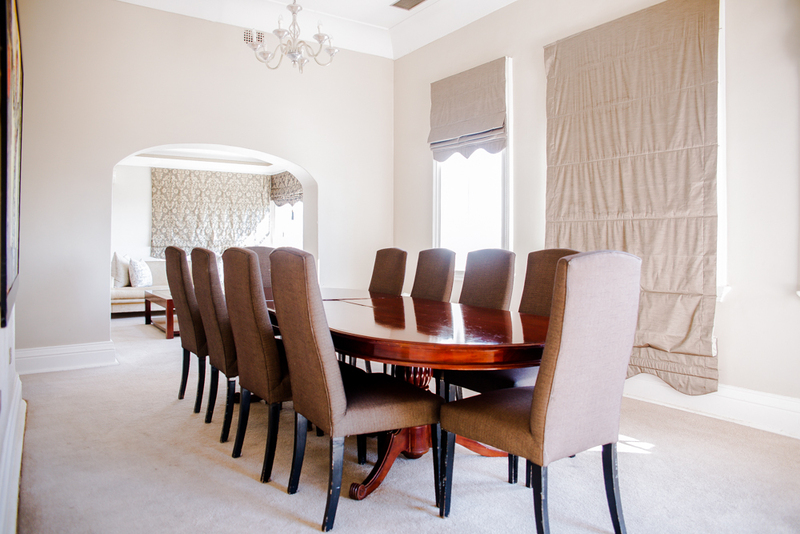 This intimate meeting room is ideal for engagement sessions and smaller team gatherings. The furniture in The Parlour can be easily moved around to suit your needs.